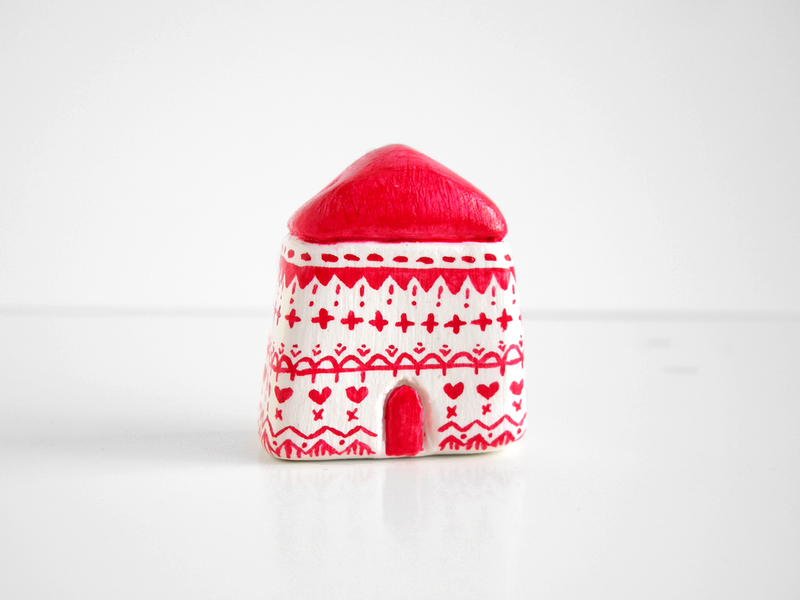 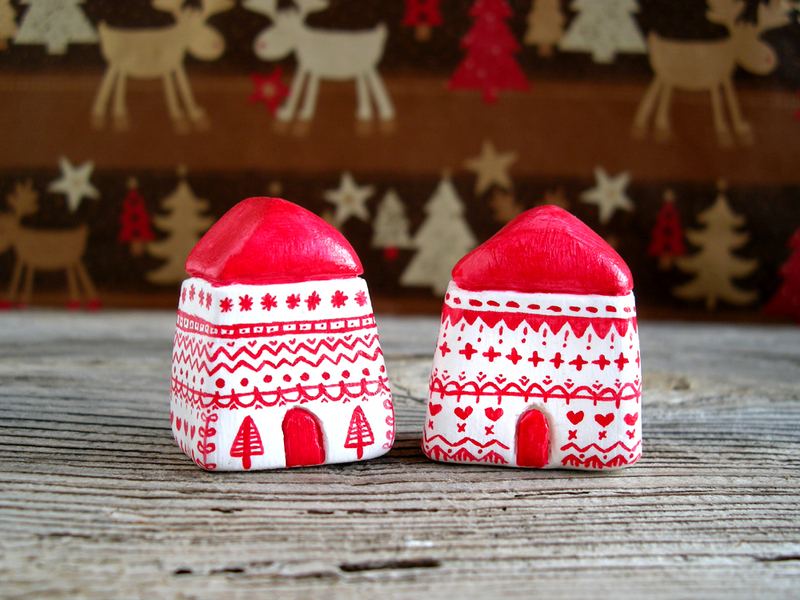 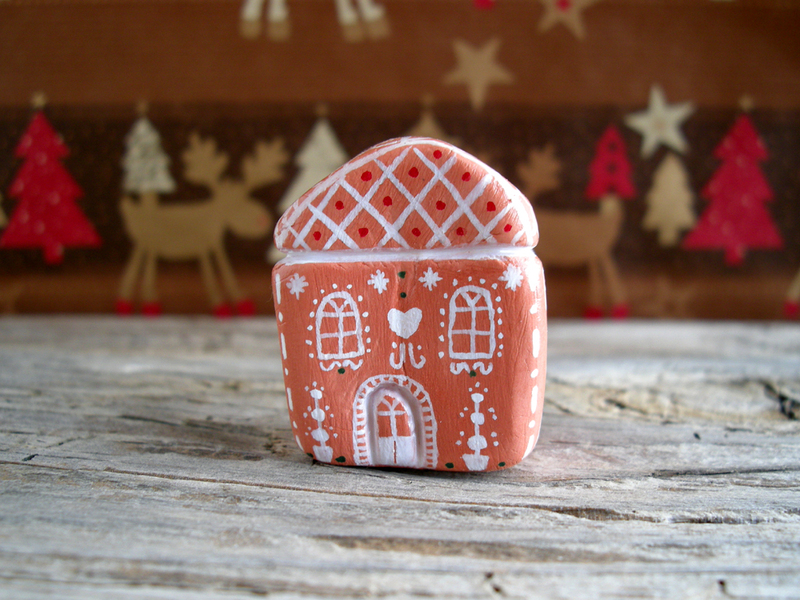 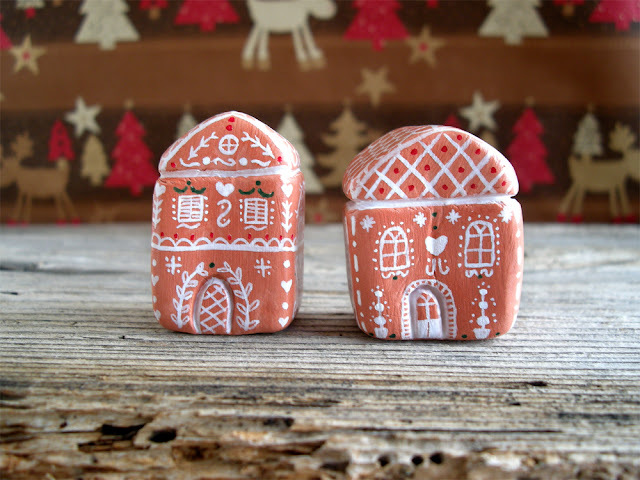 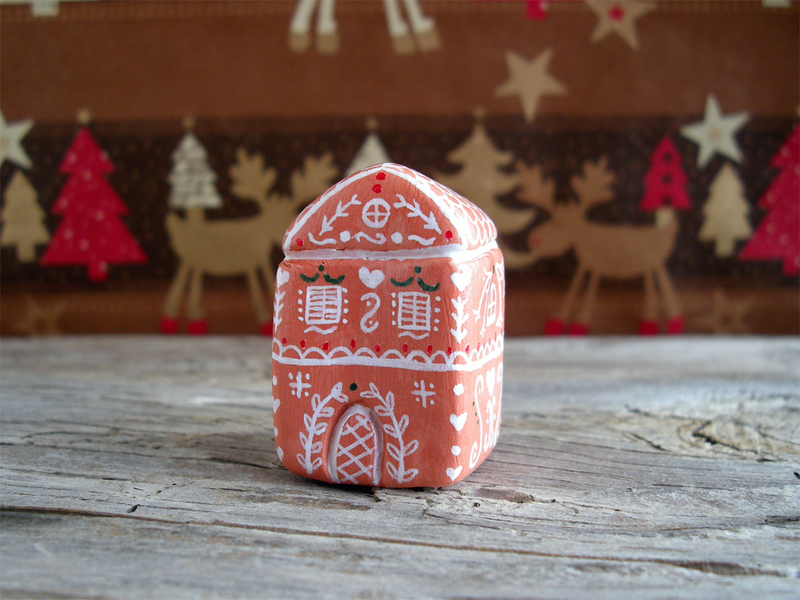 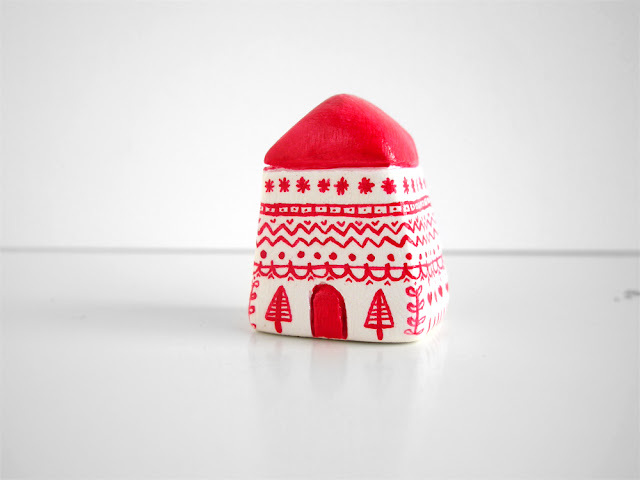 Preparing for Christmas and I made these two miniature clay houses inspired by Scandinavian patterns! They are one of a kind, handpainted with red acrylic on white clay. Find them in the shop: little Scandinavian house and Nordic Christmas house. 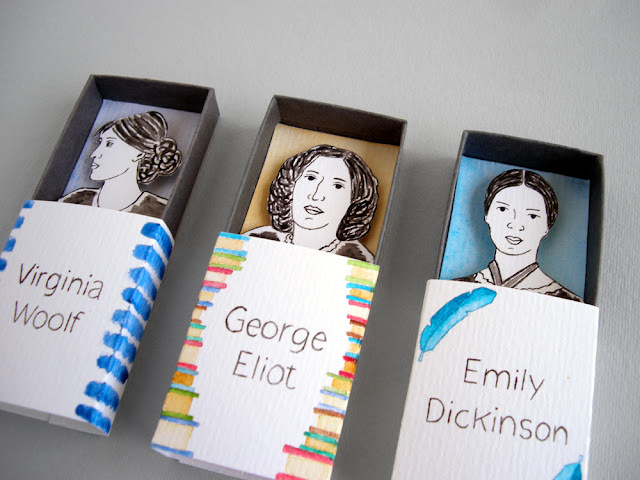 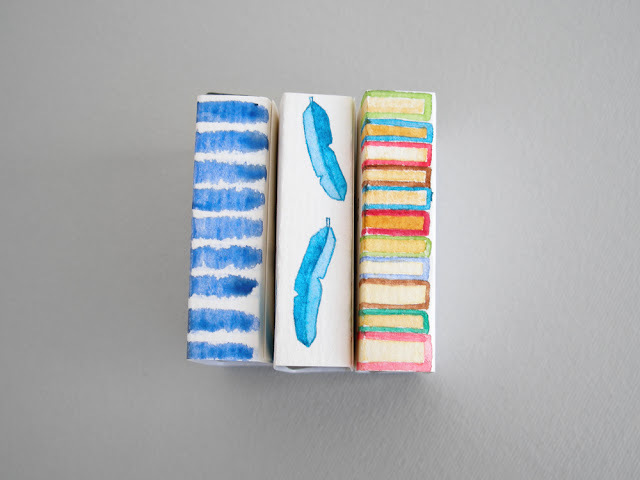 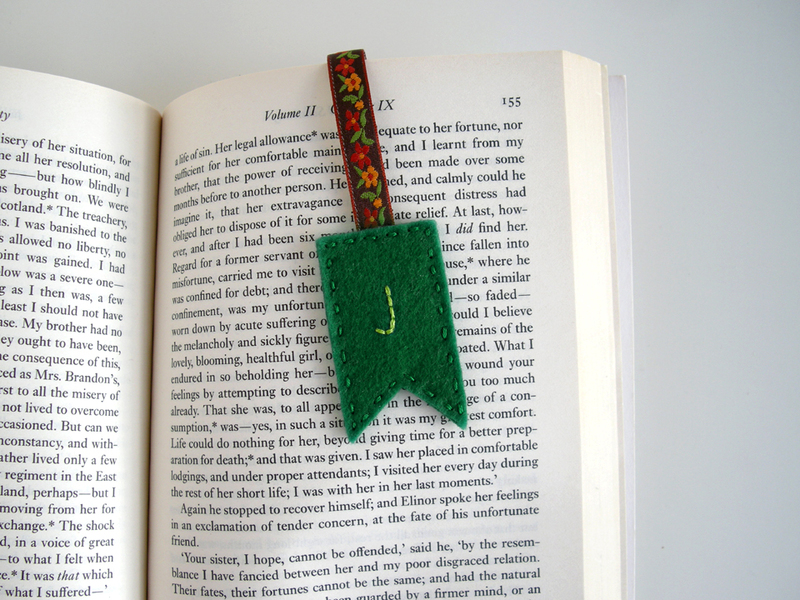 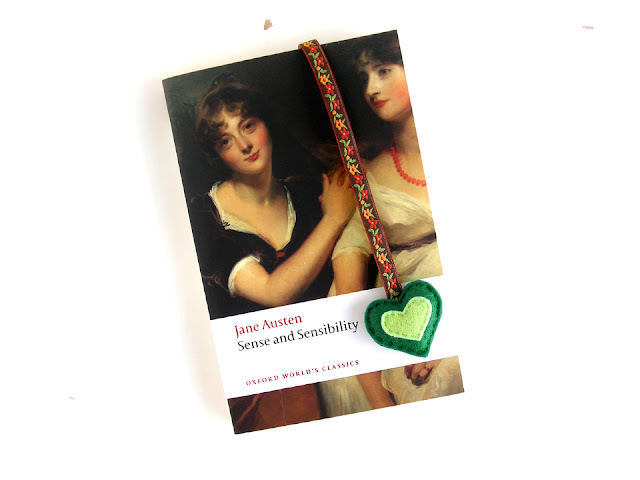 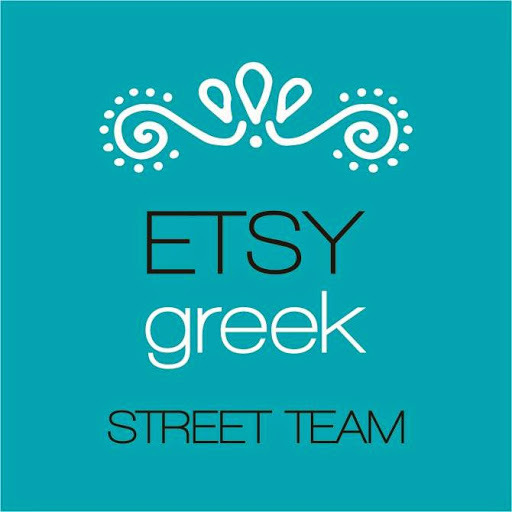 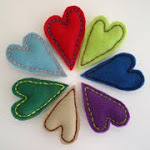 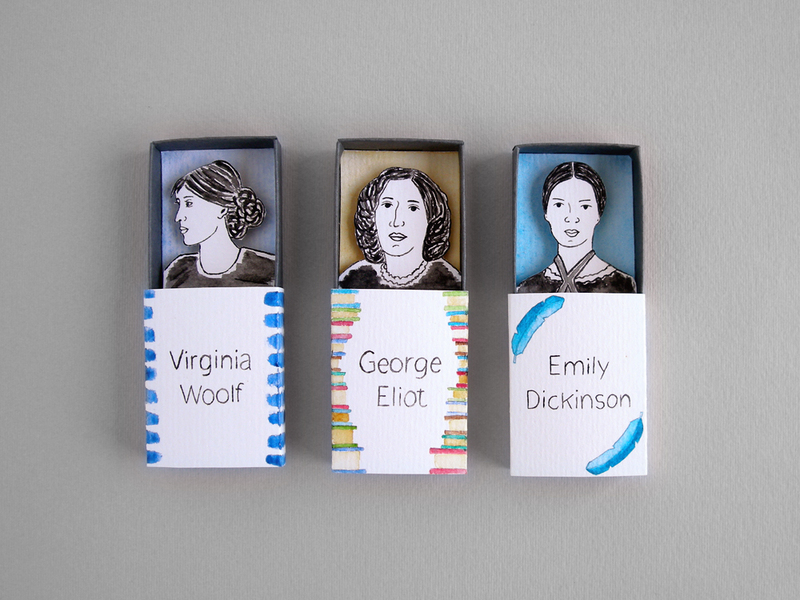 The bookmark is one of my faves, it;s in the shop along with others! 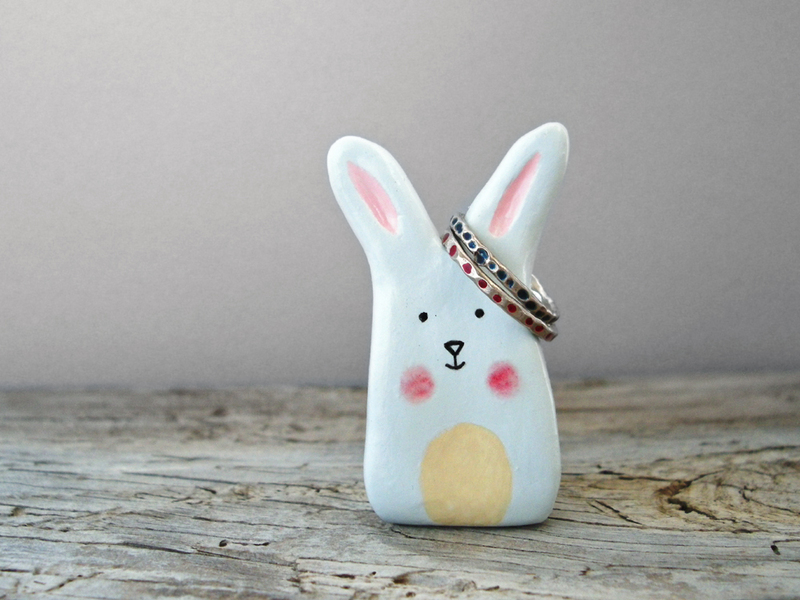 Bunny ring holders are in the shop! 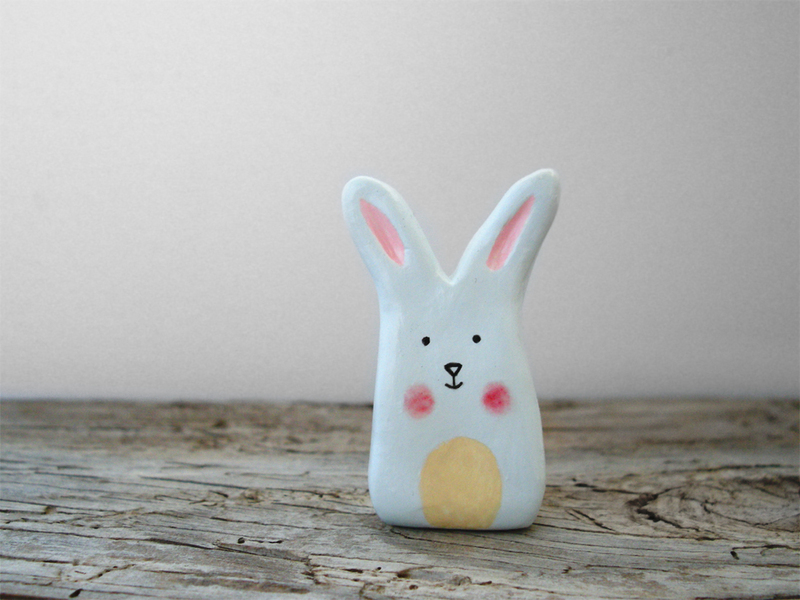 These bunny rabbits are made from clay, hand shaped without the use of molds making each one unique. 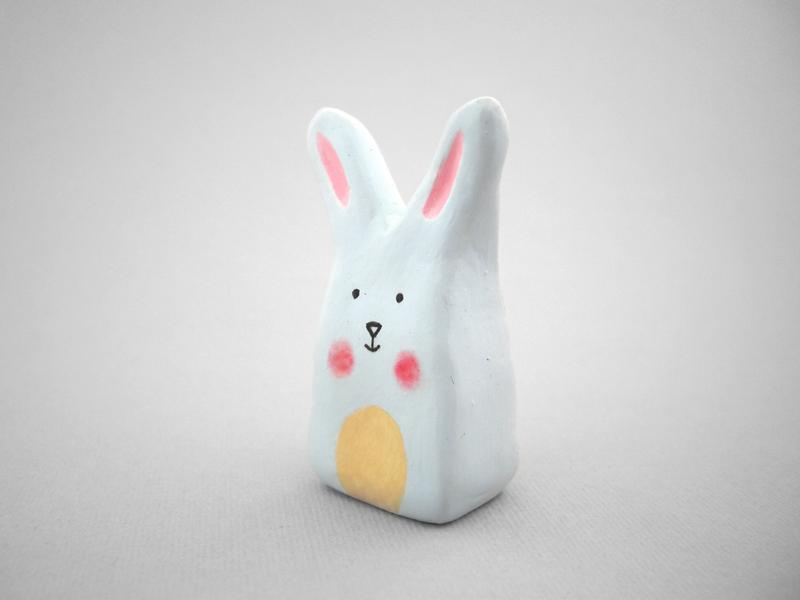 I painted them in pastel colors, light blue and pink, with rosy red cheeks and black eyes and nose. You can store your rings on their ears or use them for decoration! 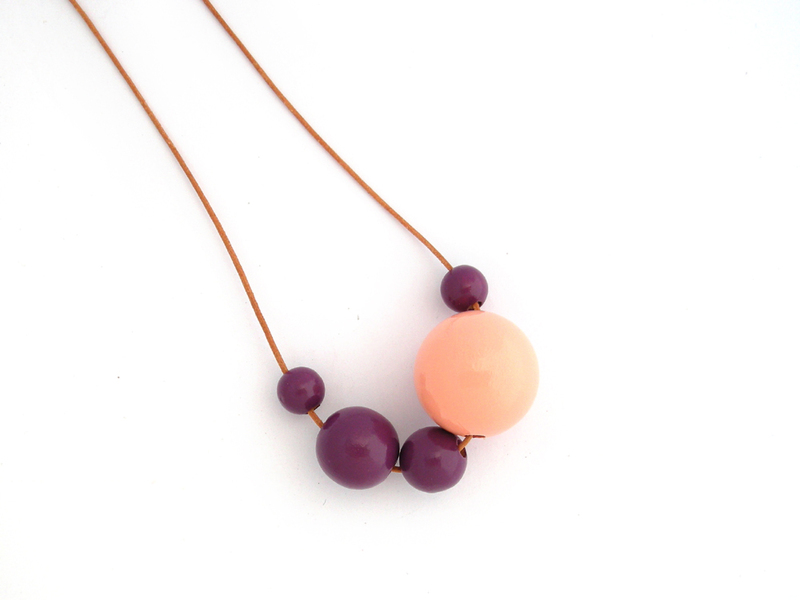 Two new necklaces in the shop! 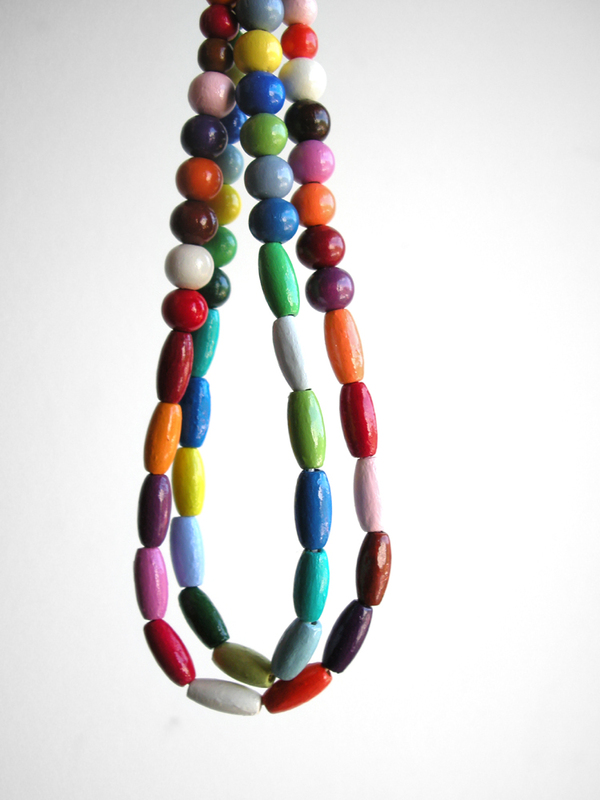 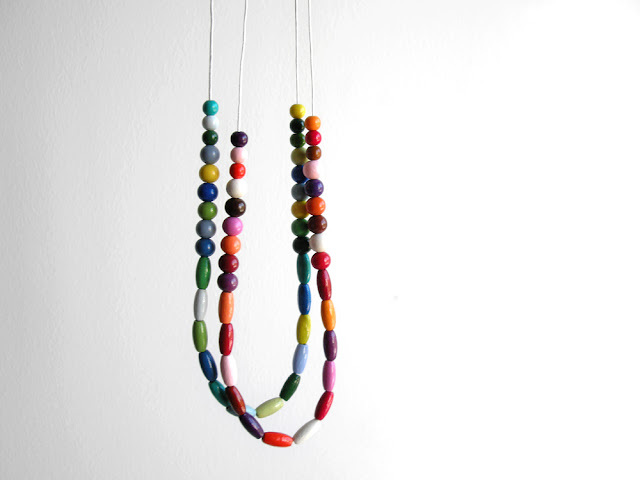 These are made from smaller oval and round wooden beads painted in various colors, one necklace is in hues of green and blues and the other in reds and purples. 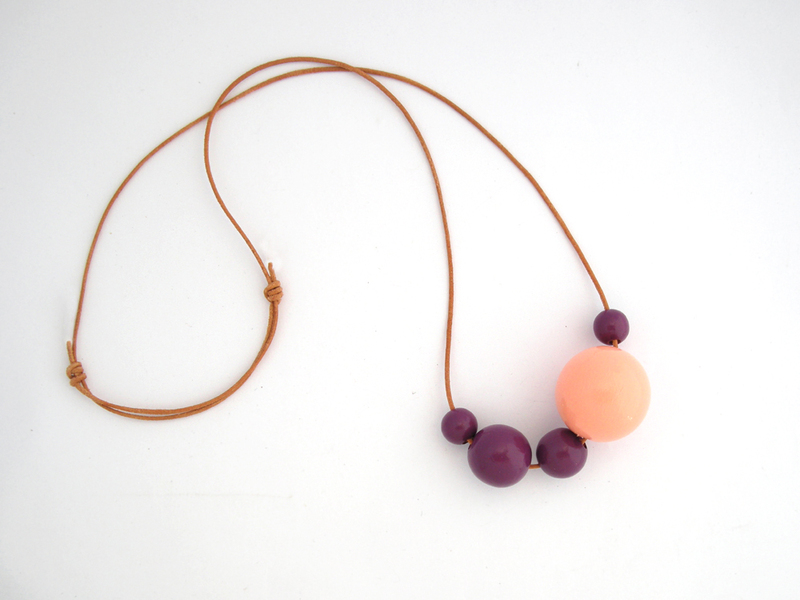 You can find them both in our wood jewelry section!